BEIJING -- As China trudges though its first car-market recession in a generation, Japanese and German automakers are gaining on domestic companies. Brands from those countries gained market share in the first three months of 2019, while Chinese and American marques lost ground, the China Association of Automobile Manufacturers said on Friday. China sales at BMW Group, which includes the Mini, BMW and Rolls-Royce brands rose 10 percent in the first quarter, while registrations at Daimler's Mercedes-Benz and Smart brands rose 2.6 percent. Volkswagen Group sales were down 6.3 percent. 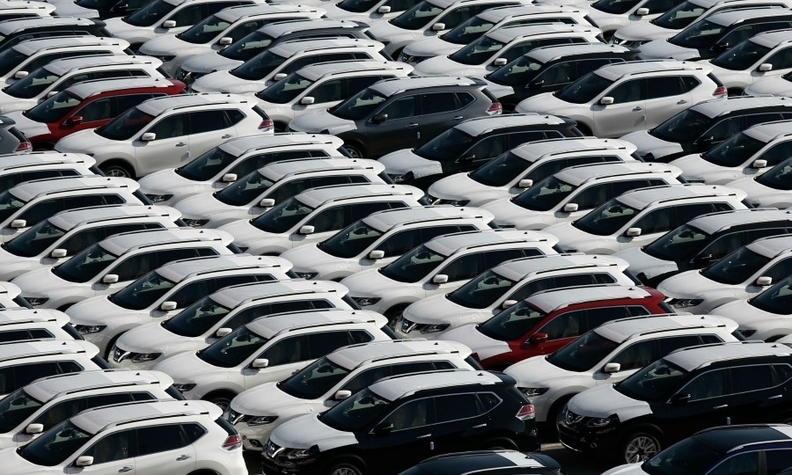 China car sales plunged for a 10th consecutive month in March, dragged down by a slowing economy and trade tensions with the U.S. The slump has sharpened competition, forcing automakers and dealers to offer generous discounts and creating a market of differing fortunes. The association predicted the slump could last for months.